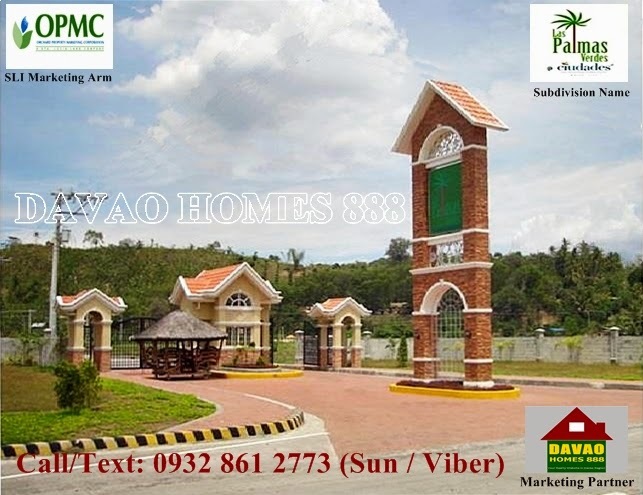 Own a lot in a fully developed high-end subdivision! 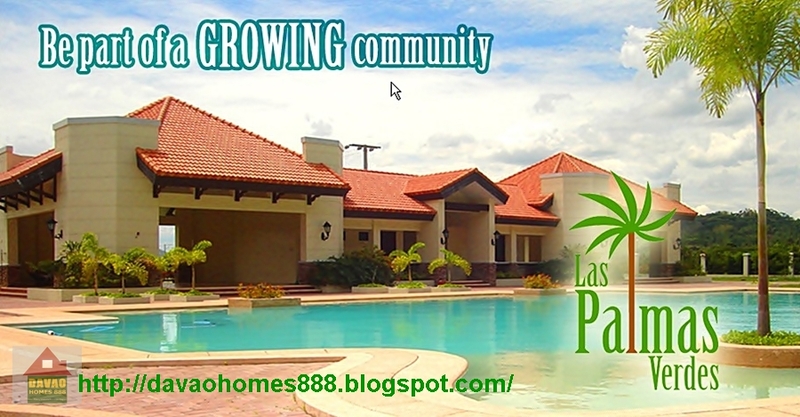 And Pay your balance for as low as 3,520.00 /month! ZERO interest on the first 2 years for the balance! Average lot size : 150 sq.m. 80% Balance 5 yrs to 10 yrs @ 14% p.a. With first 2 year NO INTEREST. World-class living within your reach. Nestled in Mandug, Las Palmas Verdes is a quick 15-minute drive from the Davao City Center. A modern community perfect for your family Las Palmas Verdes is surrounded by some of the region's most advanced economic and social developments. Envisioned to be a Satellite Business District in Davao, it will be fully developed over a period of 20 years, geared toward fulfilling the promise of a modern Mindanao. 15 to 20 min. away from the Davao International Airport. 20 min.away from Redemptorist Church in Bajada. 15 min.away from St. Mary's Church in Buhangin. 10 min. away from the upcoming Gaisano Grand Mall - Buhangin. Picnic area for the whole family. Scheme 1: Spot cash with applicable discounts, 10% bal. UAOT. Also available: 8% disc. if paid w/in 30 days and 6% disc. if paid w/in 60 days. 10% Balance UAOT, 100% Spot cash if title is available. Scheme 3: Installment (20 - 80). 10% disct.if Spot cash to 7 days outright. 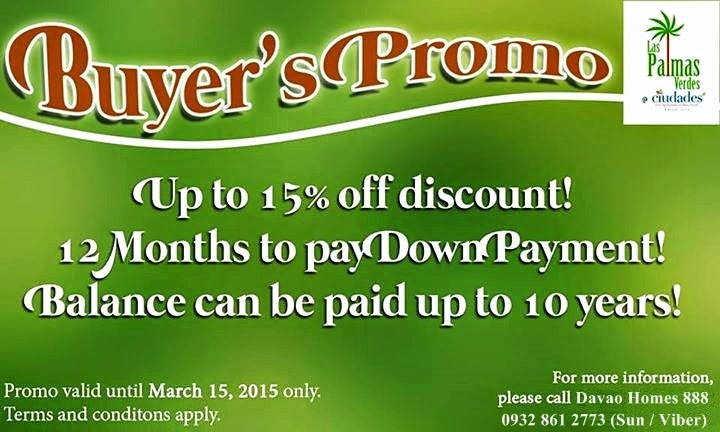 Balance : 80% payable in 5 to 10 years @ 14% interest p.a. Lot Area : 150 sq.m.